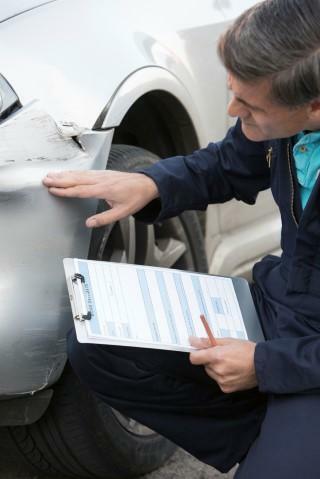 HOW CAN I PROVE DAMAGES AFTER MY CAR ACCIDENT? Each year, thousands of people experience life-changing car accidents and are left with terrible injuries. The months after a car wreck are taxing – mentally, emotionally, and physically. The good news is that when you combine car insurance with Arkansas state laws that require the at-fault driver to provide compensation for damages, the money awarded can help cover your medical bills and recover your quality of life. In order to collect that compensation, however, you’ll need to offer solid proof of the damages (both medical injuries and property damage) that you suffered in order to show that you are requesting a reasonable settlement amount. Proving the expense and financial losses you’ve already incurred is fairly straightforward. The most important thing to remember is to document everything. Keep or request medical bills and records to prove the cost of treating injuries caused by the accident. If you were unable to work, ask your employer to verify your timesheets and pay stubs to show the income you lost. The staff at Taylor King Law will handle these phone calls for you. It’s also important to have a personal injury attorney on your side if insurance adjusters dispute the damages you claim. Adjusters may question, for example, if your medical treatments were really necessary. Your attorney will handle these questions and communicate with you to be sure that your medical expenses are accurately represented. It’s a more complex task to prove the loss you will experience in the future, but it is possible. Estimates of your future medical treatment will have to be verified by a qualified medical professional. If your injuries prevent you from returning to your job immediately, an occupational expert may be asked to assess your ability to work and determine whether or not you are capable of earning. In more severe accidents, you may incur intangible losses – that is, losses that are more difficult to quantify or assign monetary value to. Those intangible losses may include permanent disabilities, emotional issues, extensive pain and suffering, disfigurement, and loss of consortium. Although Arkansas law benefits accident victims who experience “general damage,” it still requires you to provide evidence of intangible losses. This may require consulting experts, personal notes, and testimonies of relatives and friends. This category of damages is most often disputed and is more difficult to prove, but an experienced personal injury attorney will fight for your fair compensation. Do not give testimony of your losses without instruction and approval from your attorney. If you have suffered intangible losses and are struggling to recover fair compensation, call our office at 1-800-CAR WRECK today for a free consultation with an attorney.